Old Sneakers - 1919 Converse "Big Nine"
More pep, speed, good looks and comfort than have ever been sewed in a shoe before. "Big Nines!" The shoes with nine big points! Their springiness gives you speed. Their sure-footedness gives you confidence. Their strength and comfort give you endurance. And their middle name is wear! "Big Nines" are great for father, mother and sisters, too. They're the most economical shoe made. Go to the store that sells "Big Nines" and get a pair. Made in both brown and white. 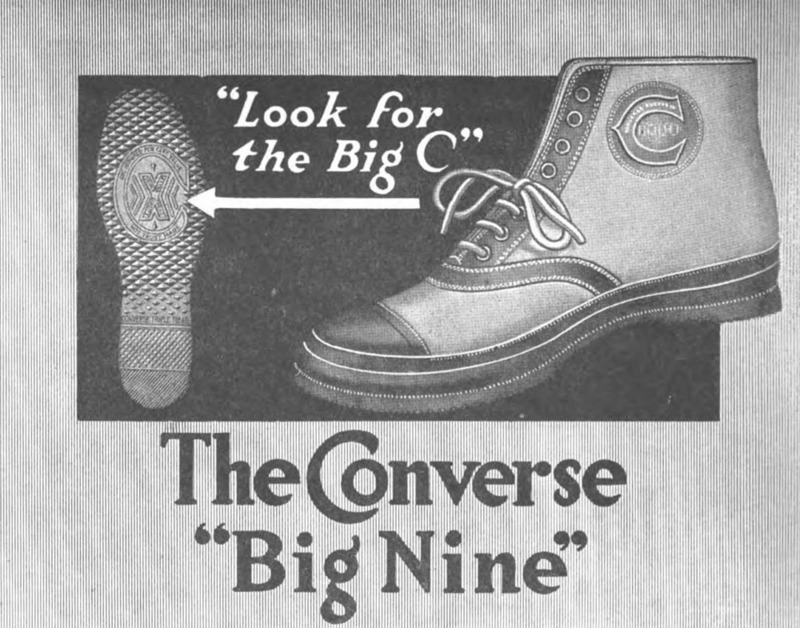 But be sure they are "Big Nines"-look for the big "C" on the sole. Charlie's thoughts: Cork innersole? The "Big Nine" did not have much cushioning at all!